Registration for K-12th. Grade VAA Basketball is closed. Kindergarten and 1st grade basketball program (K/1) is offered on Saturdays starting late January and runs for six weeks. The program is done as a camp for the first 5 weeks with games the final week. Registration for K/1 closes mid-January. Grade 2 will play once per week, alternating between practices and games. Games will be played 3 on 3. The season will begin mid-November and conclude mid-Feb.
Grades 3rd thru 6th will use paid referees, have one practice and one game per week (Saturday Games), and have a year-end tournament. Season runs mid- November to late-Feb.
Grades 7/8, 9/10 & 11/12 will play in the Maplewood Rec League (EMRL). Teams will practice one night a week and games will be on Saturdays or Sundays. We will no longer be playing against Mahtomedi. The girls 3rd-6th grade program will be playing against Woodbury Athletic Association (WAA) and East Ridge Athletic Association (ERAA). The length of the season for 2nd grade in-House leagues is longer. We will utilize paid referees in the 3rd thru 6th grade In-house leagues. We will have a year-end tournament for the 3rd thru 6th grades. Improved Coaching. We will provide coaches with helpful web sites, books, videos and clinics in a coaches handbook. ONLINE registration will be available on this web site beginning Sept. 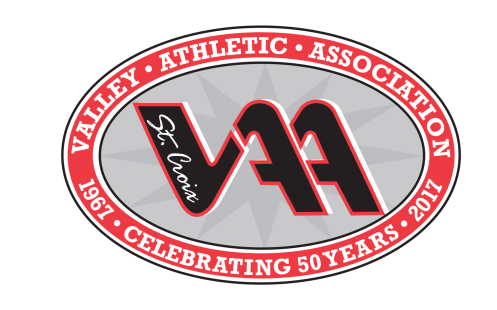 The SCVAA web site will be the focal point of all basketball information for the Stillwater area. We are working with the varsity high school coaches, traveling organizations, Junior High’s and other organizations to put key dates, camps, events and other web links on our web site. Check back often! One of our goals is to form community/school based teams. Many factors, including facility constraints, coaching volunteers and team capacities go into the team selection process. Accurate and timely registration information enables us to do a better job of forming these teams; therefore, we encourage you to register promptly. Priority will definitely be given to those who register on time! If you have questions, comments or suggestions, please contact any of our commission members. They are listed, with their responsibilities, in this website. Questions? Please contact the SCVAA Basketball Commissioner via email at basketball@scvaa.org and we will reply to your inquiry as soon as possible.